Impressive and wonderfully detailed review. Thank you for the effort! 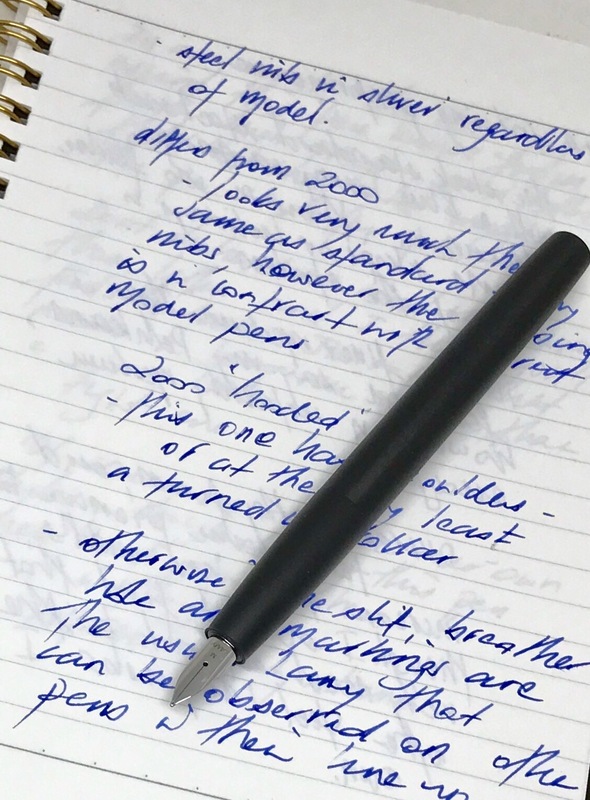 Looks like a great pen for use at work – reasonably priced (47€ at La Couronne du Comte) – I’ve always hesitated to take more expensive pens with me to work. This one might fit the bill. Oh… and the silver version looks great too. Thank you for the kind words. Yes I agree it is quite reasonably priced. 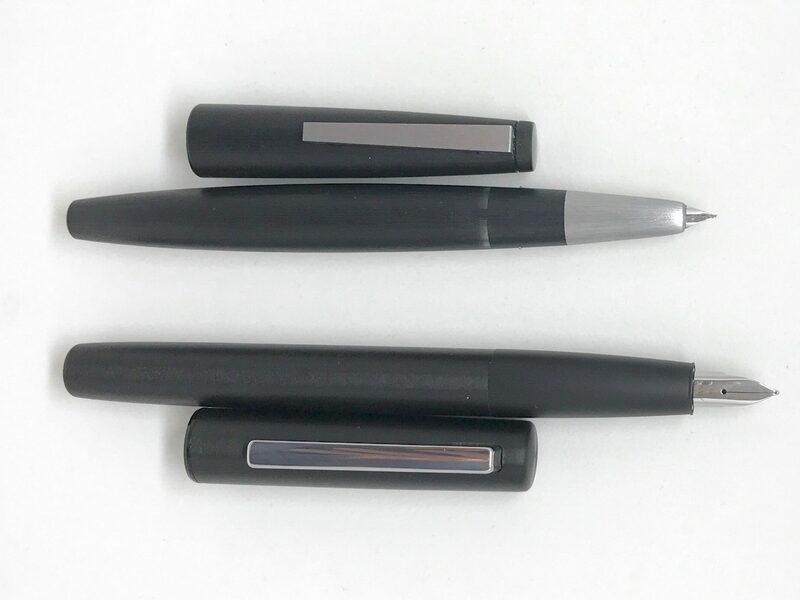 A great work pen indeed – I’ve always carried snap-on cap pens at work for their ease of use, which is another plus. Terrific in depth review. What nib size were you using? What nib sizes are available? Thanks. This was the medium. They will be available in EF through to Broad from what I understand. Pete what a cracking review! I have every Lamy model with the exception of the Imporium, 2000, and the Dialog. Now I’ve read your review, I’m off to Cult Pens here in the UK to place an order for an EF. 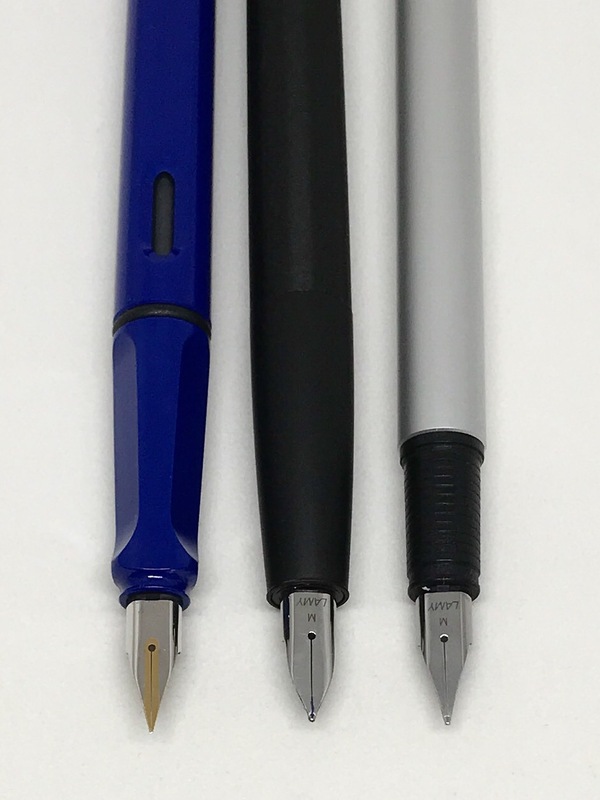 Favourite Lamy pen? Believe it or not…..the CP1. Ultra slim and so effortless to use. if only their nibs were the same standard throughout though, some of my EF’s are nearly Japanese in fineness, whilst others are bordering on medium. All write smoothly, but my script is so small, an o can look like a full stop with a medium/broad wet nib. Signed up for new posts. Thanks for the kind words Jeff. 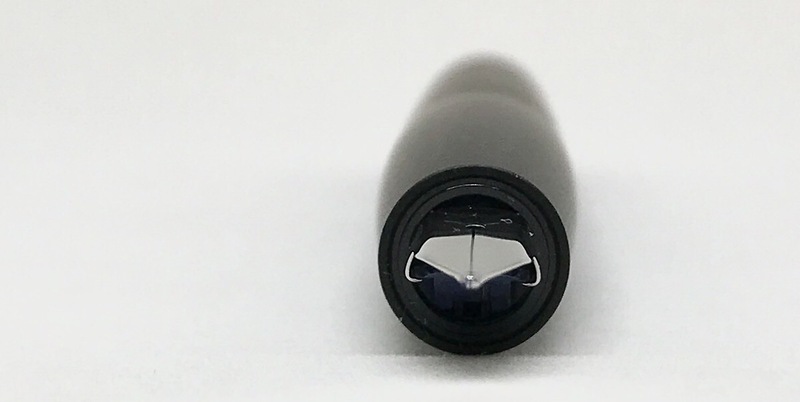 Hopefully you’ll find the aion to your liking – and also a nice EF nib! Would love to hear what you think. hello, My profil was broken some weeks ago, how did you get Lamy to help you with your old Profil? They sent me three new nibs for the 080 Profil in january 2016, which was very kind. 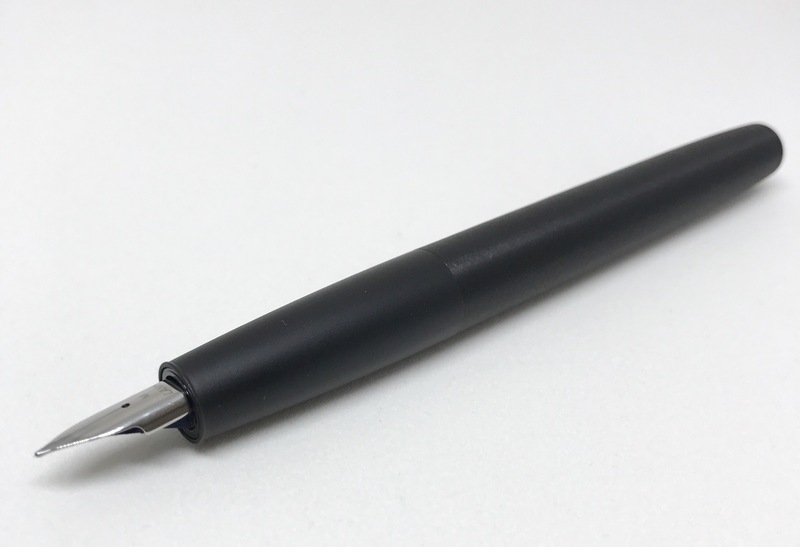 It is also one of the reasons I just bought the Lamy aion (and alread love it, even blogged about it). Got one myself. 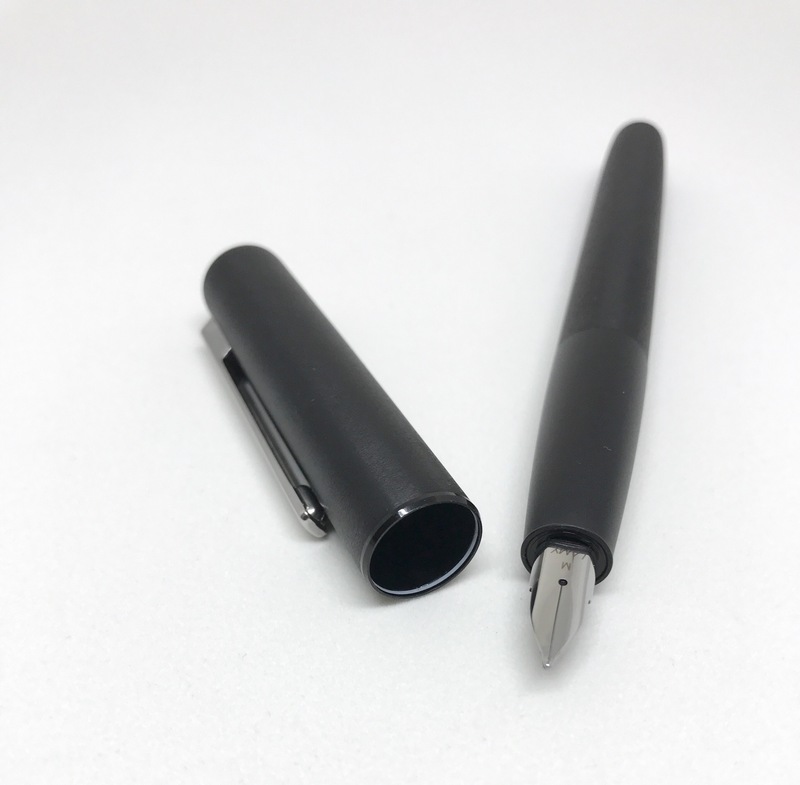 Fantastic pen with great appealing, not just only for the price.